I should probably print this, frame it and mount it on the wall. I really want you to update murder mansion. But since you havent been on since march, maybe you should let someone else take on the update until youre able? Dude BRO!! 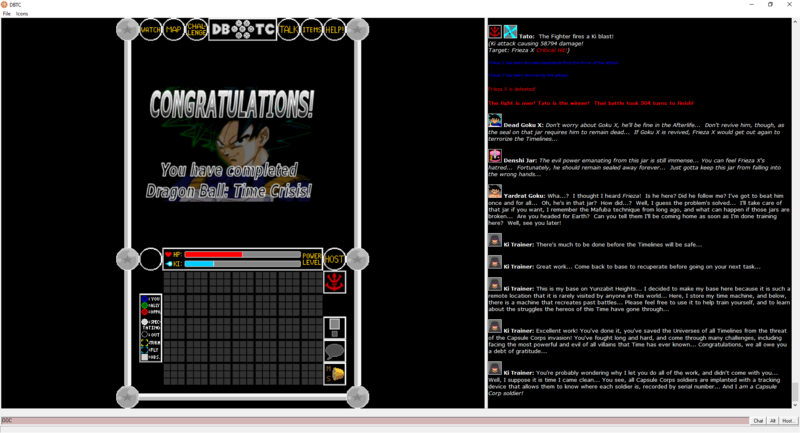 YOUR GAME DBTC PREDICTED DRAGONBALL XENOVERSE! Damn, you use to be able to come on here and download DBTC. Is it no longer existing? If so, incredibly sad. Dragonball Xenoverse made me think of it, cause the story is similar. If you have this code anywhere man, upload it somewhere so us fans can re-visit this gem. Looking for classic host files!